The 30th (Cambridgeshire) Regiment of Foot was an infantry regiment of the British Army, formed in 1702 and amalgamated into The East Lancashire Regiment in 1881. In 1689, during the Nine Years’ War, Viscount Castleton was authorised to raise a regiment of foot in Lincolnshire. Lord Castleton’s Regiment of Foot was duly formed, and in 1691 travelled to Flanders. In 1694 the colonelcy of the unit changed and it became Colonel Thomas Sanderson’s Regiment of Foot. With the signing of the Treaty of Ryswick in 1697 the war came to an end. Sanderson’s Regiment returned to England, where it was disbanded on 4 March 1698. By 1702 England was again involved in a European conflict which became known as the War of the Spanish Succession. Sanderson was commissioned to reform his regiment as marines. In February 1702 Thomas Sanderson’s Regiment of Marines (or the 1st Regiment of Marines) was reraised in Lincolnshire. The unit took part in the capture and defence of Gibraltar in 1704–1705. It subsequently took part in the campaign led by the Earl of Peterborough and was involved in the taking of Barcelona. The regiment’s title changed with the name of its colonel: Thomas Pownall (1704–1705) and Charles Willis (from 1705). In 1714 the regiment was converted to conventional infantry as Charles Willis’s Regiment of Foot. The regimental title continued to change with the colonel until the introduction of numbering in 1751. Following a number of years of garrison duty in Ireland and the Mediterranean, the regiment was again in Gibraltar during the siege of 1727. The next two decades were fairly uneventful for the regiment which spent most of its time in England or Ireland. During the War of Austrian Succession in the 1740s the unit saw some action on the French coast. On 1 July 1751 a royal warrant was issued declaring that in future regiments were no longer to be known by their colonel’s name, but by the “Number or Rank of the Regiment”. Accordingly Colonel the Earl of Loudoun’s Regiment was renamed as the 30th Regiment of Foot. The warrant also for the first time regulated the uniform clothing of the army, and provided that the 30th should wear pale yellow facings on their red uniform coats. During the Seven Years’ War the 30th was mainly employed on garrison duty in southern England, and also took place in some raids on the French coast. Their most notable action was the taking of the French warship Belleisle in 1761. In 1781 the regiment embarked for North America where they arrived in Charleston to take part in the southern campaign of the American War of Independence. The regiment then spent nine years on Antigua, St Lucia and Dominica. In 1782 all regiments of the line without a royal title were given a county designation and the regiment became the 30th (Cambridgeshire) Regiment of Foot. 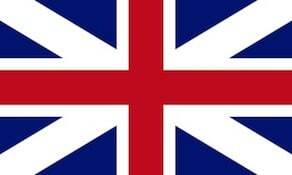 In 1791 the 30th returned to England, and spent ten years on garrison duty. In 1801 they moved to Egypt to repel the French invasion. They returned to England in 1802 and formed a second battalion in the following year. The 1st Battalion sailed for India where they remained until 1829. The 2nd Battalion embarked for Portugal in 1808 taking part in the Peninsular War and fighting at the battles of Badajoz and Salamanca. They subsequently landed in Holland, and fought at the Battle of Waterloo in 1815. In 1817 the 2nd Battalion was disbanded, while the 1st Battalion, already in India, was involved in the Third Anglo-Maratha War before returning to England in 1829. The 30th Foot took part in the Crimean War of 1853–1856, and was present at the battles of Alma, Sevastopol and Inkerman. In 1861 the 30th moved to Canada as Britain increased their military presence following the Trent Affair. The regiment remained there until 1869, and was involved in repelling the Fenian raids. The 30th Foot was posted to Ireland in 1869, moving to Jersey in 1871 and England in 1872. In 1880 they sailed for India. On 1 July 1881 the Childers reforms came into effect, and the 30th Foot was paired with the 59th (2nd Nottinghamshire) Regiment of Foot to form the East Lancashire Regiment. Following a number of amalgamations since 1958, the lineage of the 30th Foot is continued today by the Duke of Lancaster’s Regiment. The 30th Foot was granted the following battle honours and honorary distinctions to be borne on their colours. The year shown is the year of the award, not the action.